Skye Gravestones | Donald & Elizabeth (Macaskill) Macraild. Donald & Elizabeth (Macaskill) Macraild. 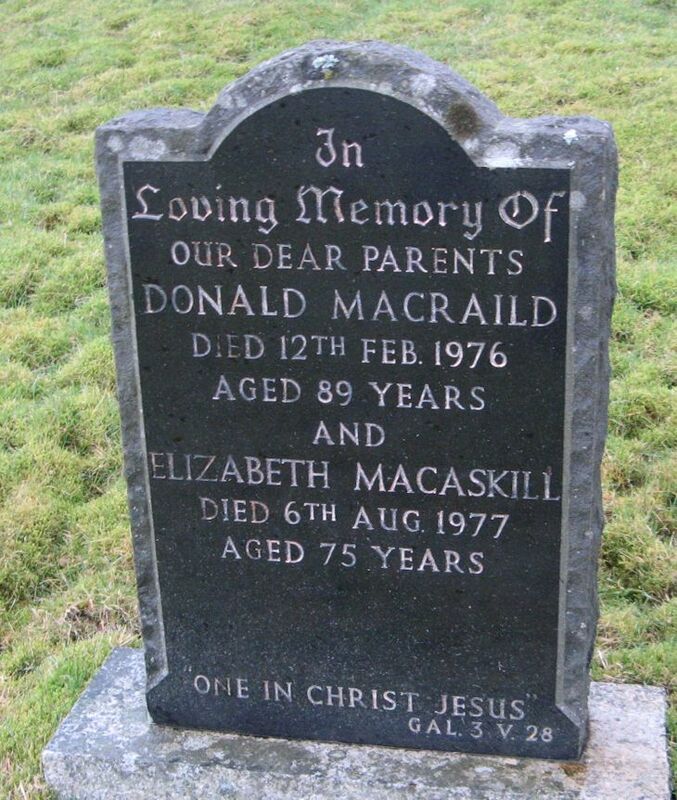 In/loving memory of/our dear parents/DONALD MACRAILD/died 12th Feb. 1976/aged 89 years/and/ELIZABETH MACASKILL/died 6th Aug. 1977/aged 75 years. One in Christ Jesus/Gal. 3V. 28.